Take a look at South Carolina, from the mountains to the sea. Embark on the Satisfy Your Thirst Tour to sip and see South Carolina's wide variety of breweries, distilleries, dairy farms and wineries — as well as the country's one and only tea plantation. Inspired by the different regions of South Carolina, these are three cocktail recipes you’ll definitely want to try. What is the Satisfy Your Thirst Tour? Take a journey through South Carolina’s rich liquid history on the Satisfy Your Thirst Tour. 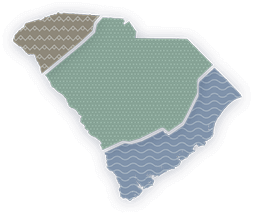 Visit the people, places and homegrown businesses that are inspiring locals and tourists to sip and see SC. Download the official South Carolina Satisfy Your Thirst Tour app to find tours, events and sampling locations near you, and keep up with the latest happenings, product launches and news from the tour. Download your free copy of the official Satisfy Your Thirst Tour map now to find out which breweries, wineries, dairy farms, orchards and distilleries offer tours and tastings near you. Flavor and variety are both signatures of the Palmetto State, and the same applies to its craft beer. Sample a variety of homegrown ales, lagers, IPAs and stouts and taste for yourself why the craft beer movement has been growing so rapidly across South Carolina. Famously known as the Southern libation that’s passed in an iconic mason jar, this social spirit will take you back in time as you continue one of the Palmetto State’s most well-known traditions. Enjoy one of the Palmetto State's most time-honored traditions. Home to the first tea plants in America, SC is the birthplace of sweet tea and helped it grow into the Southern tradition it is today. Tea tradition runs deep in the South Carolina especailly at the Charleston Tea Plantation. Discover South Carolina’s very own Kristian Neimi: restaurateur, mixologist and owner of Bourbon in Columbia. As the birthplace of sweet tea and home to the first tea plants in America, this refreshing beverage is deeply rooted into our culture. Whether it’s enjoyed from a crystal glass or a mason jar, sweet tea is a time-honored tradition in the Palmetto State.